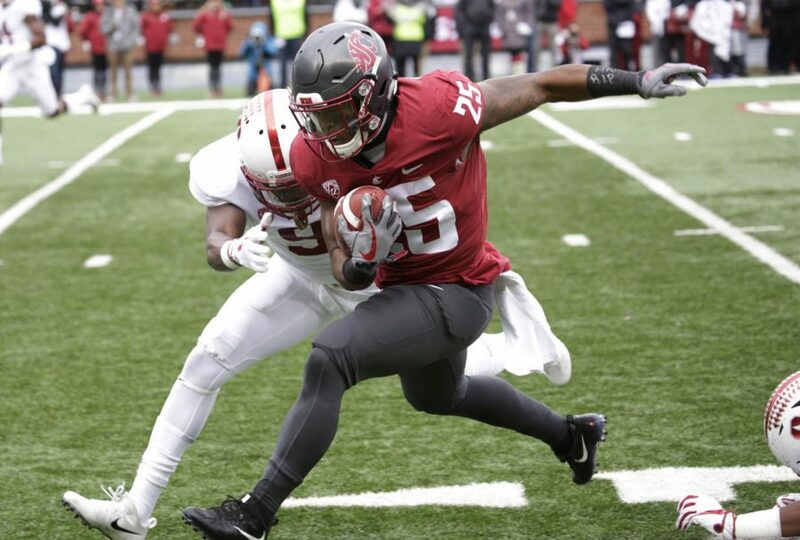 Jamal Morrow runs the ball against Stanford on Nov. 4, 2017 at Martin Stadium. 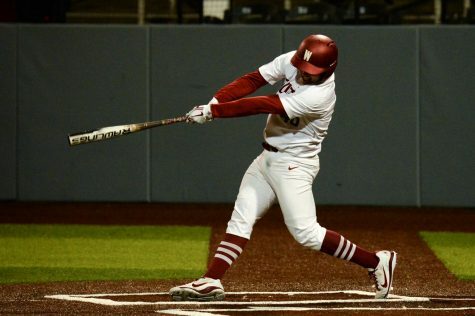 He is one of the departing seniors WSU will look to replace in the upcoming season. 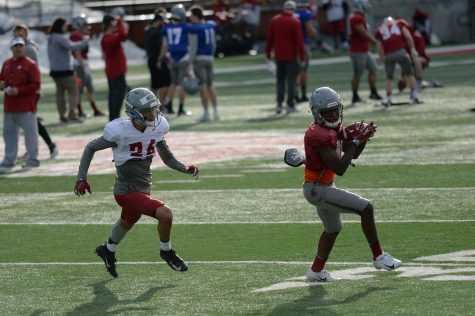 After a few months of turmoil for the Cougar football program, Head Coach Mike Leach insists this incoming recruiting class is the best he’s had in Pullman. 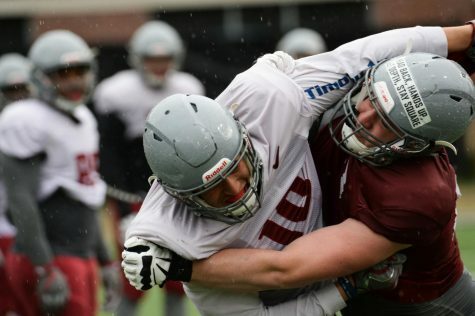 The class is highlighted by two four-star recruits: Rodrick Fisher, a big and lanky wide from Spokane, and Cammon Cooper, the highly-touted quarterback prospect who broke about every high school passing record in the state of Utah. 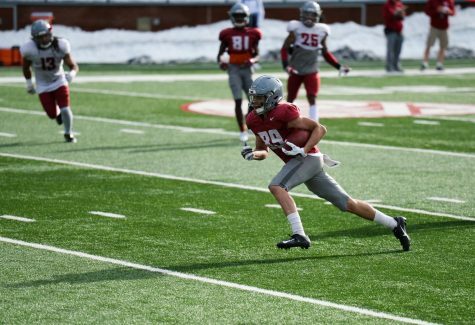 The other key steal in this signing class was running back Max Borghi, who passed on a chance to attend Stanford University to play in Leach’s air-raid offense. Predictably, the best players the team received were offensive threats. 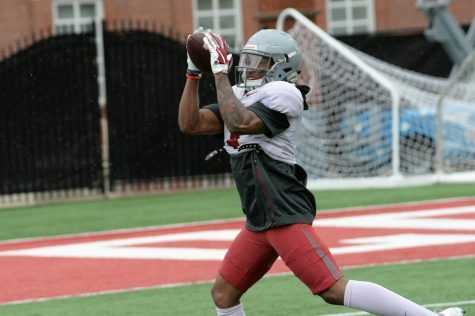 WSU piled up 11 three-star athletes on defense, as they are the types of players the Cougars have recruited the past few years to create the Speed D.
The team could have picked less talent on defense with the departure of former WSU Defensive Coordinator Alex Grinch and rush linebackers coach Roy Manning, but the hire of Tracy Claeys may have stopped the bleeding. 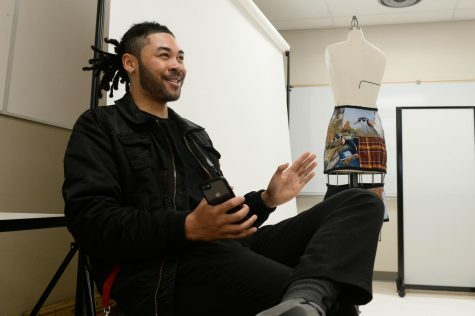 One of the more intriguing defensive signings was Misiona Aiolupotea-Pei, a New Zealand native and transfer from Riverside City College in California, who didn’t start playing football until 2013 when he joined a club team in Australia. He projects as a defensive end at 6 feet 3 inches tall and 260 pounds. 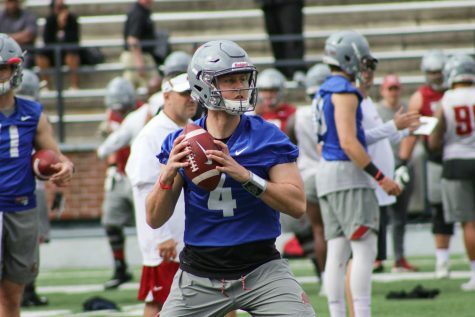 The Cougars’ 2018 recruiting class consisted of 24 players, and Leach admitted that he left a few scholarship spots open to potentially bring in another quarterback. 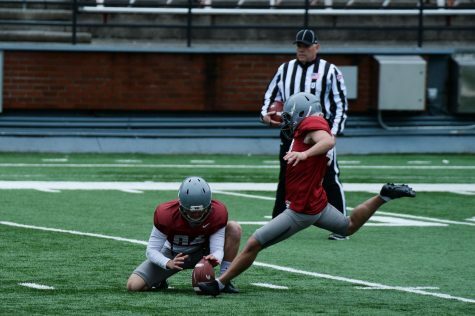 After the loss of Tyler Hilinski, WSU’s quarterback position lacks experience, as none of the players have ever taken a collegiate snap. 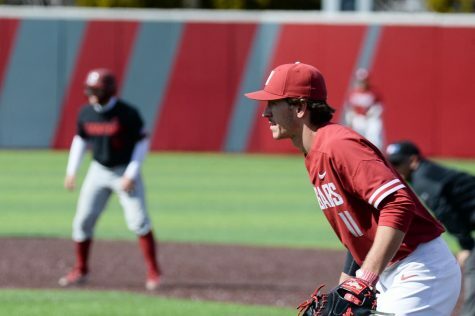 WSU came in with the 44th nationally-ranked class, good for seventh best in the Pac-12, according to ESPN. That nearly matches the ranking of the recruiting class they had in 2017. 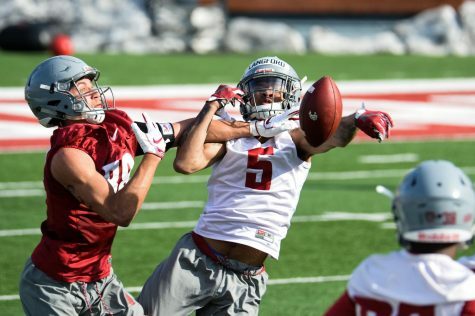 It’s easy for any passionate Coug fan to complain about the recruiting ranks not improving, but it’s especially difficult in a place like Pullman. There is no doubt the talent is there on the offensive side. 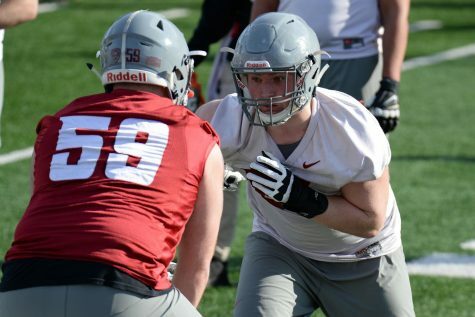 Cooper, Borghi and Fisher have a chance to be the foundation of the offense and put up numbers never seen before in Pullman. 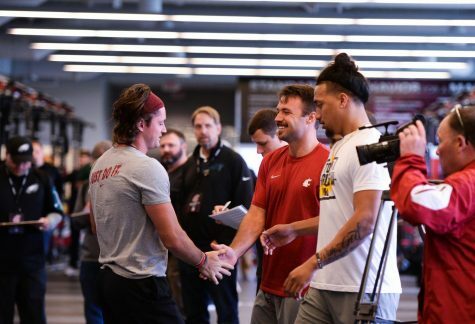 Cooper even has a chance to break all of Luke Falk’s records, being possibly the best quarterback to ever come out of Utah and given the system he is going to play. 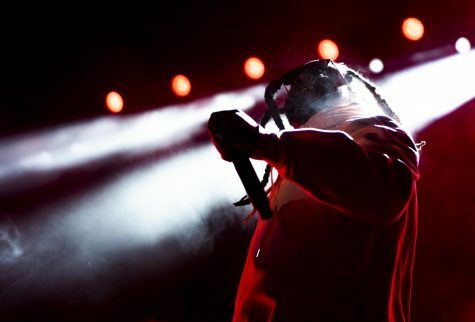 The real question mark is on the flip side of the ball, where Claeys is going to feel the pressure to implement his system effectively with a handful of three-star recruits. 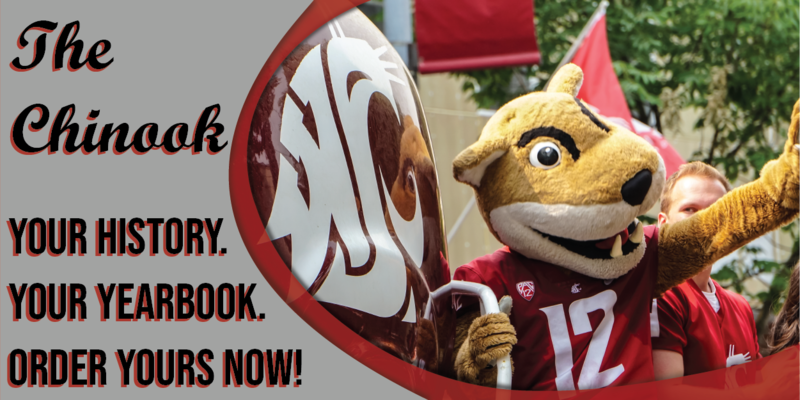 If Claeys can build off last season’s success on defense, the Cougars could be at the top of the Pac-12 standings all year. 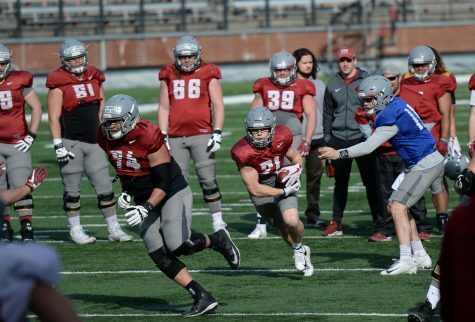 WSU is consistently capable of making bowl games every season with the quality of recruits it is bringing in, and that will be the case as long as Leach is at the helm.